Do you have questions about the program? No problem! Here are some of our most popular questions, answered by our alumni and team! You can read below or watch this video for a more personal experience. 01:39:14 - What is TGP? 06:33:08 - Will I get credit? 08:17:56 - How will TGP help me advance my career? 11:59:49 - What are the benefits of being a GREEN alumnus? 14:42:09 - GREEN Alum: Meet Amanda! 15:50:18 - What are the Capstone Projects? 22:14:15 - Who can go on The GREEN Program? Do I have to be a certain major to join TGP? 26:48:18 - A Day in the Life With TGP! 29:23:16 - How does TGP get involved with local communities? 31:42:57 - Is it safe? 33:25:07 - How do I apply? 34:11:15 - How much does it cost? 35:31:39 - How can I fund my program? What is The GREEN Program? The GREEN Program (TGP) serves to bridge the gap between traditional textbook learning and career development for positive change through our short-term, accredited, experiential education programs abroad. With the launch of the SDGs, we are fusing the UN’s 17 Global Goals framework with The GREEN Program’s model to continue exposing students to sustainability challenges and initiatives around the world. We aim to continue reshaping higher education curricula for students across 470 universities and 40 countries around the world by embedding The GREEN Program’s model within existing university STEAM degree tracks. Why should I go abroad with The GREEN Program? With The GREEN Program, we don't want students to choose between a job, an internship, or a study abroad experience. In fact, we want them to do it all. We help students maximize their winter, spring and summer breaks in order to allow them to get a fulfilling study abroad experience within just 8-10 days. All the while, students are able to have that awesome internship they've had their eye on or those remaining summer classes they need to squeeze in to make sure they graduate on time. We live in a time where opportunities are endless, so why limit ourselves? Where are The GREEN Program destinations and topics? Who goes abroad with The GREEN Program? The GREEN Program is open to and attracts students around the world who are curious about the world and seek opportunities to adventure, break out of their comfort zone, and stand out among their peers as global citizens. We have attracted students from more than 70 countries and 470 universities around the globe. From STEM to Environmental Studies to Communications & Media to Business & Law to Liberal Arts and everything in between, we believe that diversity is our greatest asset! Our participants have one underlying mission in common: they have consciously chosen to pursue a future of possibilities and are determined to be part of the solutions toward a better world. Is there a sample itinerary I can check out? Additional information and sample itinerary can be found on the program pages of our website. What resources can I share with my parents? Parents love us, and we love them too! Feel free to pass along our contact information to your mom, dad, or guardian any time. We can be reached at: (888) 231 4711 or info@theGREENprogram.com. From here, a member of our team will be able to forward additional information to your parents or guardians as well as answer any questions that they may have. When does The GREEN Program run their programs? What’s included in a GREEN program? What is not included in a GREEN program? Airfare, travel documentation, and travel medical insurance are not included in the program fee as well as discretionary funds for souvenirs or additional snacks, meals, or beverages for the participants’ choosing. If you miss your flight or your flight is canceled you will also be responsible for the cost of transportation to the group. Travel health insurance is compulsory for all our programs. We require that, at a minimum, you are covered for medical expenses including emergency repatriation throughout your travels. We strongly recommend that the policy also covers personal liability, cancellation, curtailment and loss of luggage and personal effects. When traveling on a trip, you will not be permitted to join the group until evidence of travel health insurance and the insurance company's 24-hour emergency contact number has been seen by our team. If you have credit card insurance, TGP will require details of the participating insurer/underwriter, the level of coverage, policy number and emergency contact number rather than the bank's name and credit card details. Please contact your bank for these details prior to arriving in-country. Students have had positive experiences using World Nomads. If you book your flight through StudentUniverse, you'll have the option to include insurance. Where can I find the program dates? The dates for our open & enrolling programs can be found within our application and programs pages. Can I use my credit or debit card abroad? Yes, you can use your debit card abroad. Note that you may incur international transaction fees, based on your credit/debit card provider. You will also have the opportunity to exchange currency upon arriving at the airport. We highly recommend you inform your credit and debit card provider of upcoming travels. Will I receive academic credit and will it transfer? TGP is able to guide students towards obtaining credit for the program. We might be able to advise you who to speak with at your university to receive credit. We can also provide you supplemental materials such as a syllabus, program package, or a previous student Capstone Projects to help you receive credit. For some programs, you will automatically receive a credit-bearing transcript from our partner university. Reach out to your Personal Representative to start the discussion regarding obtaining credit. Yes, students are encouraged to bring a laptop or tablet to work on Capstone Projects. A packing list can be found in your Accept Student’s Package in the Student Portal. Upon acceptance into The GREEN Program, students will receive this information (and more) in greater detail. 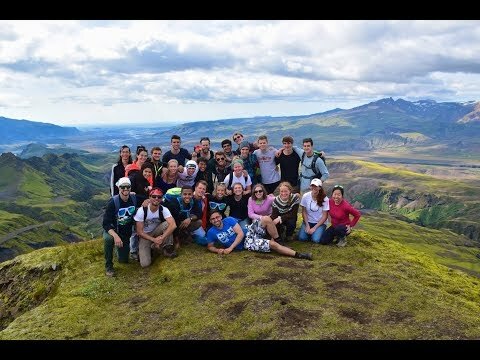 Iceland participants, you will need a sleeping bag for 2-3 nights during your program (camping/tent accommodations for the summer programs May - August; cabin accommodations for programs in December, January, March), Sleeping bags are required; however, there is an option to rent a sleeping bag for a daily rate. Email green@midgard.is to book your sleeping bag before your program. Students can use their debit or credit cards to make their payments through the student portal or over the phone with a member of our team. Students can also send us a check in the mail. Checks can be written out to: The GREEN Program PBC and mailed to 2190 Route 27 Edison NJ 08817. Please be sure to include your full name and the program dates of your TGP session on the memo line of the check. Yes! After you have been enrolled in the program, you will receive information on how to access wifi. All TGP programs are taught and run in English. Students should be able to read, write, and speak English. Will I be able to talk to GREEN students pre-program? You will not have a chance to meet or talk with incoming participants ahead of the program. However, if a participant is on the same flight or attends the same university as you, you will have the option to contact the participant prior to the program. Can I speak with students who have attended the program in the past? Yes! We encourage this and are more than happy to put you in touch with a GREEN Alumni from your university. Please contact amanda@theGREENprogram.com to be connected with TGP alumni. The GREEN Program has specialized, local teams in each country who are enthusiastic and passionate to share their home communities with GREEN students. Our students' long-term success is important to us, so our program leaders also take the role as mentors to our students. We are proud that our global staff represents a variety of interests and skillsets from PhD's to mountaineers, national sports champions, researchers, journalists, and engineers. They have all been hired through a highly selective hiring process, trained, and vetted by The GREEN Program's HQ Team directly. You won't meet people like your GREEN Mentors anywhere else! Will I be able to contact my friends and family back home during my time abroad? Yes, of course! While you are abroad with us, you will have access to wifi at the university and/or accommodations of your program. Most students use Skype, email, or social media to keep in touch during their time away from home. You can also look into international phone plans and/or chips if you’re interested! Will it be safe where I’m traveling? Yes. Your safety is our top priority. All program locations and lodging are properly vetted by our team to ensure a safe environment for our students. In the case of are petty crimes, our team will always communicate safety protocols with students. We suggest students review travel and safety tips through travel.state.gov. What happens if I have a medical problem on the program? In the event of an emergency while on the program, a member of our team will assist you in seeking medical attention as needed. Students should always let their program leaders know of any serious medical conditions at the beginning of the program. Clinics and hospitals are accessible to students if they request medical attention. What is the food like on the program? What if I have a dietary restriction? Students can enjoy fresh, locally grown food while on the program. We provide meal accommodations for students with vegan, vegetarian, gluten-free dietary restriction or preference. If you have questions about dietary restrictions, contact info@theGREENprogram.com. What are accommodations like on the program? There are generally 2-3 different housing locations for each program. You will be staying in local style guesthouses, hotels, and dormitories . Every student will be provided with their own bed and internet access. On the first day of the program, students will be paired up or be able to select their roommate(s). How physically demanding are the programs? Are there any physical restrictions or things I should be doing to prepare? Students should feel comfortable walking/hiking up to 10-15 miles a day, and open to new adventures and experiences. We do not require vaccinations for our program. However, we always encourage students to visit their doctor to ensure that they are healthy enough for the program. Will I need a passport/visa? A passport and or Visa may or will be required for you to legally enter and exit the country your program is taking place in. It is your responsibility to understand these requirements to the fullest extent before attending the program and to be able to present the required documents upon entering and or exiting the country your program is taking place in. Your personal representative can help guide you based off of past experience with Passport and Visa requirements but is not an expert on the document requirements for you to lawfully enter and or exit the country your program is taking place in. GREEN is not held responsible for any costs incurred in the case you cannot enter and or exit the country your program is taking place in. This is especially important for international students studying in the US or Canada and permanent residents of the US and Canada who are not citizens. For assistance with Visas or passports, students can contact CIBT Visas. The application can be found online here: www.theGREENprogram.com/apply. Upon submitting your application and application fee online, our Acceptance Team reviews these applications on a daily, rolling basis. On average, we receive between 10-20 applications each day. You can review application tips here. You should expect to hear from our team within 48 hours. This timeline is subject to change depending upon holidays and the volume of applications we receive. Our applications are open to all interested university students and professionals alike across the globe! In fact, we’ve hosted students and young professionals from more than 400 universities and 70 countries around the world. If you are passionate about travel, sustainable development, and education, we would love to travel with you. All of our programs are open to interested participants that are 18 years of age or older. While the majority of our traditional GREEN Programs attract students and participants in their undergraduate and graduate careers, the age range of GREEN students is from 18 - 28 years of age. We also host a university faculty who bring student groups with them and recent graduates who are seeking more global experience before diving into the "real world". No, there is no GPA requirement when applying for The GREEN Program. What if I don’t have a LinkedIn for my application? If you do not have a LinkedIn account, you are welcome to submit a copy of your resume as an attachment to your application. You may send your resume to info@theGREENprogram.com. Is there a professor or professional recommendation requirement? No, a professor or professional recommendation is not a requirement of the application. However, if there is a figure who could speak closely to your persona, work ethic, or academic/professional accomplishments and endeavors, recommendations are a great way for us to learn more about you. Because our team reviews applications daily, our programs are filled on a rolling, first-come, first-serve basis. We always recommend that interested participants submit their application at their earliest convenience. The sooner the better! What kind of classes will I be taking? Classes differ for each course and program; however, classes will be taught by our educational team from our partnered university in each country. Classes will be a mix of in the classroom and in the field experience. How much academic credit will I be earning? What kind of academic credit will be I receiving? Based on our past experiences, students have been able to receive credit in the way of: technical credit, elective credit, independent study credit, internship credit, and more. While all accredited GREEN programs provide an academic transcript, we cannot guarantee that students' home universities will always accept them. We recommend you speaking with your advisor to confirm if your home university can accept those credits. You will receive a transcript through the mail after the completion of the program. Please note that may also be extra fees involved to send the transcript to your home university. Who should I speak with at my university about transfer credit? You should speak to your advisor about earning credit through The GREEN Program. Where can I find more information about the courses I’ll be taking? Students can read more about the courses in their program package. Is there a program fee associated with The GREEN Program opportunities? Yes, there is a program fee associated with each of our programs. The specific amount is dependent upon the season and program location. You can see the program fees on the specific Program Pages. Can I leverage my financial aid? Ultimately, it is up to your home university to decide if it is possible to leverage your university’s financial aid. If you are able to receive credit at your home university, the chances are you will be able to use financial aid. Our team is here to help provide you with the proper resources and assistance when reaching out to your university. Let us know how we can help! How have students funded The GREEN Program in the past? We encourage all students to seek funding opportunities available within their university. first. The best place to start is with your advisor or department head. You will need to explain the value of the program and how the program will benefit your educational, professional, and personal goals. Your personal representative can help guide you through this process and is more than willing to speak with any faculty or staff on your behalf. Beyond that, students have also been able to leverage financial assistance through 3rd-party scholarships for studying abroad, from their place of employment or internship, crowdsourcing and fundraising, in-house TGP scholarships, GI Bill and military, and more. What are the most popular ways students fund their program? We encourage students to seek opportunities through their universities, as these institutions are often eager to get students abroad on career-expanding opportunities. The best place to start is to meet with your advisor, explain the educational value of the program, and how it will benefit your educational career and personal goals. Departments may have funding, but you can also look at the international program(s) and Study Abroad offices. If these options are not feasible, another option would be to look to student organizations and outside sources of fundraising (related companies, Indiegogo.com, etc.). Students who join our GREEN Influencer program have the opportunity to earn their GREEN Program for half price or even free in return for helping us share our mission for sustainable development. Signing up is simple and we provide you with support and resources to make sharing and standing out as a sustainability advocate in your community easy! You are eligible to join the program whether you are an accepted student looking to make the program financially feasible, a student committed to attend one of our upcoming programs, or an alum! Sign up here. What are The GREEN Program’s payment plan options? Option 2: 3-Step Payment Plan – Placing a non-refundable deposit to secure your spot on the program. The remainder of your program fee will be split evenly between your second payment, due 4 weeks after placing the deposit, and final payment, due 6 weeks before your program starts. What does it mean to submit my deposit and how do I do that? By submitting your deposit, you will officially secure your spot and are added to the program roster. In order to secure your spot, you must place your payment through one of our payment options. When submitting your payment online, this can be done through your Student Portal and found under “Step 1: Submit Payment”. Additionally, you may submit your payment via telephone. Feel free to give us a call Monday - Friday (9:30 AM - 5:00 PM EDT) at (888) 231 4711. Because applications are reviewed on a rolling basis and spots are reserved on a first come first serve basis, we recommend students to secure their spot at their earliest convenience. *Please note: Deposits are non-refundable. See our Terms and Conditions for more information. Can I secure my spot without a deposit? No, as an accepted student of The GREEN Program, you must secure your spot with your deposit. By placing your deposit, you will officially secure your spot and will be added to our student roster. From here, our team is here to help you with the next steps of registration. Until then, these limited spots will continue to fill on a first-come, first-serve basis. Is there a deadline to secure my spot? Programs fill on a first-come, first-serve basis. However, we close enrollment four weeks before the program begins. What happens after I secure my spot? How do I make a payment? Through our 3-step payment plan, the remaining balance of the program fee is broken down into 2 equal payments. The second payment is due 4 weeks from the date that you submit your deposit to secure your spot. From here, the final payment is due 6 weeks before the start of your program. However, this may differ from student to student based upon additional scholarships, timelines, or differing payment plans. When paying with a debit or credit card to make my second, final, or full payment, why are there additional fees? The additional fee when paying online is a handling fee that our credit card vendor charges us for each transaction. We suggest that second or final payments be submitted via check to avoid the handling fee. Checks can be written out to: The GREEN Program PBC and mailed to 2190 Route 27 Edison NJ 08817. Please be sure to include your full name and the program dates of your program session on the memo line of the check. How much additional money should I bring with me? While all GREEN programs include all in-country expenses, we recommend bringing spending money for souvenirs and/or additional snacks. On average, students often bring between $100 - 300 USD for miscellaneous expenses. You can also use your credit or debit cards within the country. Check out our student reviews on Abroad101 for more information and recommendations from our alumni! If I receive funding for your program, how does this get added to my account and/or removed from my program fee? In the event that you are funded by your university or receive outside scholarships and financial assistance, how this is accounted for is specific to the student. We are here to help work with you to figure out the best option. Generally speaking, in the way of partial scholarships, these amounts are deducted from a student’s final payment. However, if you are receiving full-funding and/or have a unique opportunity, please let us know. We always want to work with our students to the best of our ability! Please refer to our Terms and Conditions under "Payment Policy"
What kinds of travel documents will I need? A passport and or Visa may or will be required for you to legally enter and exit the country your program is taking place in. It is your responsibility to understand these requirements to the fullest extent before attending the program and to be able to present the required documents upon entering and or exiting the country your program is taking place in. Your personal representative can help guide you based off of our past experience with Passport and Visa requirements. However, we are not experts on the document requirements for you to lawfully enter and or exit the country your program is taking place in. GREEN is not held responsible for any costs incurred in the case you cannot enter and or exit the country your program is taking place. For assistance with Visas or passports, students can contact CIBT Visas. How do I submit my program paperwork? Upon acceptance into The GREEN Program, students will receive access to our Student Portal where they will find all of their pre-program paperwork and enrollment logistics. Students are asked to submit their paperwork through this platform online. Does The GREEN Program arrange my travel? Because students are flying from around the world to participate on The GREEN Program, we do not arrange travel plans for our students. Transportation to and from country is a separate expense of our students. However, our team is here to help! The GREEN Program is in partnership with StudentUniverse, a travel management service. For more information about StudentUniverse and to use the booking tool, please visit their website. Is there pre-program educational materials or “homework”? Yes, accepted students will receive educational materials 30 days before the start date of their program. Depending upon their GREEN program and interest in receiving academic credit from our in-country educational partner, there may be additional educational components to their registration process. Who will I be in touch with during my registration process? We are here to help! A member of our team will be in touch with you throughout the entire registration process. Additionally, you may reach out to our office Monday - Friday (930 AM - 5 PM EST) with your questions. We can be reached at: (888) 231 4711 or info@theGREENprogram.com. The GREEN Program community is global! Because students are flying from all around the world, flights are a separate expense and responsibility of the student. However, our partners at StudentUniverse are here to help. Our Travel Representatives are ready to help you book your flights any time! You can find more information about booking your flights through StudentUniverse. When do I need to arrive or depart? Upon acceptance into The GREEN Program, students will receive access into the Student Portal where they will find additional information and program specifics for arrival and departure requirements. Where do I meet the group once in-country? Before the start of the program, students will receive an email with additional information and specific instructions on where to meet in-country once you land as well as who your TGP guide are, and their direct contact information. Once you arrive in the country our team will be waiting for you outside of the airport's baggage claim. As reassurance to you, we have never lost or missed a student during pickup. You won’t miss us, we promise! What happens if I am arriving early or staying late? If you are arriving early, please let us know at your earliest convenience. You will also receive specific instructions on where to meet up with the group on the first day of the program. If you are staying after the program is over, our team will help you get to where you need to be - no problem! However, any additional costs outside of the program dates and logistics schedule will be incurred by the student. We don’t want you to miss out on any GREEN moments, but we understand that our students may have conflicting schedules. If you are planning to leave the program early, please let our team know. We would be more than happy to assist you in getting to the airport, but please note that you will incur any additional transportation costs, as this is a separate expense. My flight was canceled or I missed my flight, what happens now? Unfortunately, unexpected flight delays and missed connections happen. With that being said, we are very familiar with these travel mishaps! Prior to departing for your program, each student will receive contact information (email addresses and phone numbers) of our team members to reach out to in these situations. We are always here to help. Travel arrangements to and from GREEN location are the participant’s responsibility. Our team and partners are here to assist you throughout the process with logistical program guidelines and suggestions. Upon acceptance into The GREEN Program, participants will have access to our Student Portal with additional logistic information and details including access to StudentUniverse, our partner travel agency. Can I extend my stay in-country?